This Complete Teen Zombie Halloween costume comes with everything you could possibly need to be a zombie! 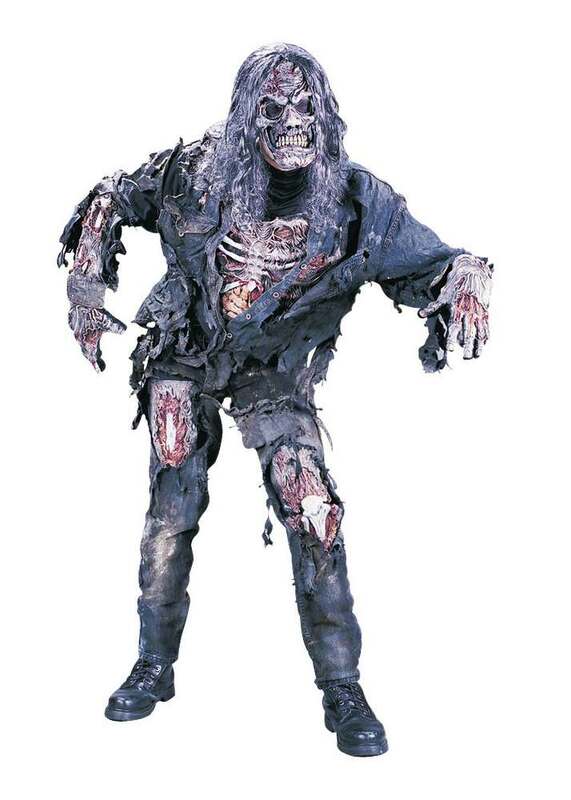 Includes: Pants with attached zombie thigh & knee bones, zombie Halloween mask, shirt with rotted flesh chest, skeletal forearms and skeletal gloves. Teen size fits up to 5'9" tall, 150lbs.